Education is crucial for properly maintaining hair extensions. Once natural hair is cut from a donor’s head, it stops receiving much-needed nutrients that nourish and keeps the hair soft, shiny & tangle-free. Excessive shedding occurs when the wefts are cut. 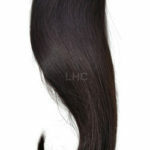 Vigorous brushing and combing can contribute to loosen hair from the weft area. That is why we stress the importance of sealing the wefts and not cutting through the wefts. Many factors can contribute to dryness: oil & dirt build-up, dying hair multiple times, salt-water, chlorine, and etc. 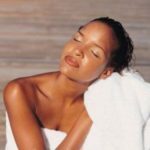 Chlorine and salt water will affect the hair as it does our natural hair so it is important to shampoo and condition immediately after such activities. My daughter has been wanting to get virgin hair extensions for quite some time. The article mentions that once hair is cut from a donor’s head, it stops receiving much-needed nutrients that nourish and keep hair soft. I think if my daughter is serious about getting these types of extensions, she should really do her research and learn how to care for it properly.